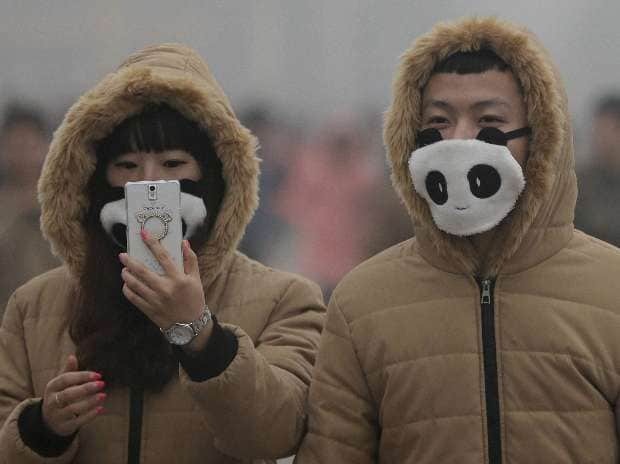 A couple wears matching panda themed masks to protect themselves from pollutants near Tiananmen Gate on a heavily polluted day in Beijing. 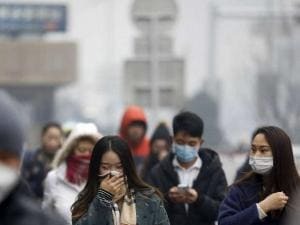 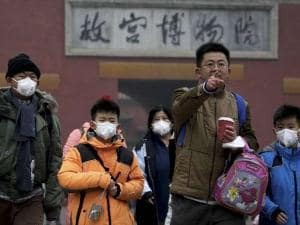 People wearing masks to protect themselves from pollutants. 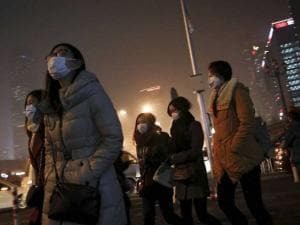 A woman uses a scarf and others wear masks to cover their face from pollutants as they walk along a street on a polluted day in Beijing. Women wearing masks to protect themselves from pollutants walk to a subway station on a polluted day in Beijing. 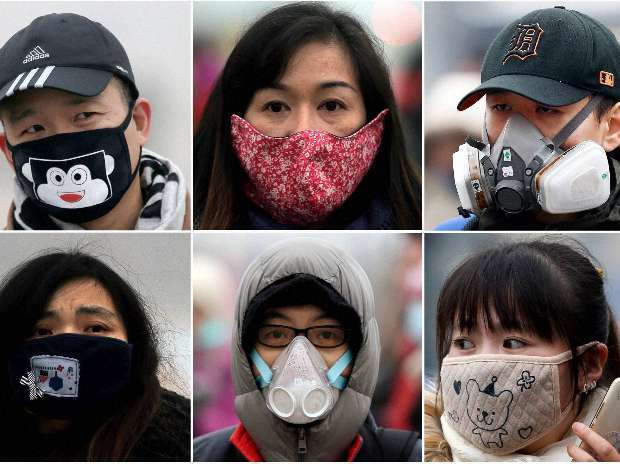 In this combination of photos, men and women wear masks to protect from air pollutants in Beijing.